On this site you will find audio samples mainly from the two general fields “Contemporary Music” and “Traditional music styles” like Jazz or Latin Music. 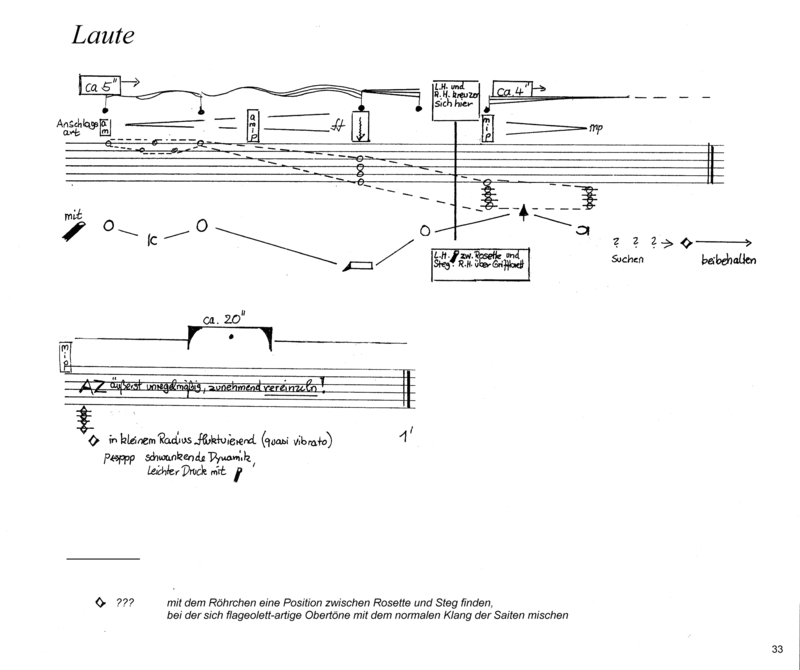 In addition, there are excerpts from arrangements at the bottom of this page. Currently, most of the audio samples are composed in traditional musical language, but the main focus of my work is in contemporary music. This is also due to the problem-free realizability of traditional styles in the digitally produced audio samples. Performer: Thomas Bocklenberg, Arciliuto. Recording 2013. 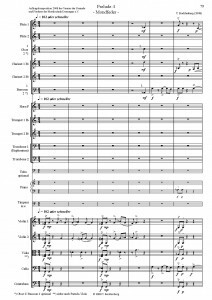 Prelude 4 (Mondfeder) is commissioned by Verein der Freunde und Förderer der Musikschule Dormagen e.V. 2008. The perfomance is possible for youth orchestra. A special focus is on rhythmic realization. 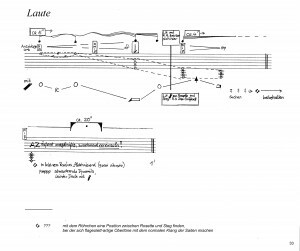 Mondfeder is part of a cycle of 4 sets, which is composed as images for the ear: sceneries in space, on the moon or in unknown worlds. Titles like Cosmic Bowl or Mare Undarum gives a hint. Michael Freimuth. Production ICEM – Folkwang Universität der Künste Essen. Experimental composition with many special playing techniques and sound effects. With kind permssion of ICEM – Folkwang Universität der Künste Essen and Michael Freimuth. With kind permission of ICEM – Folkwang Universität der Künste Essen. 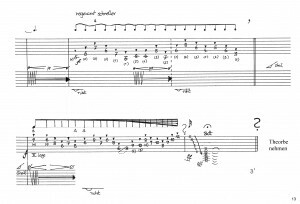 Stefan Wagener: Flute, Thomas Bocklenberg: Guitar. Recording 2007. The performance duration is c. 3:10 min. 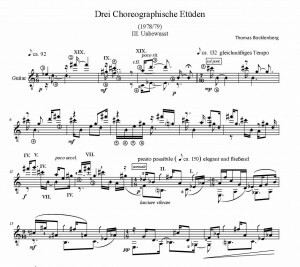 The piece was composed when Thomas Bocklenberg was guitarist, arranger and composer of a tango ensemble. 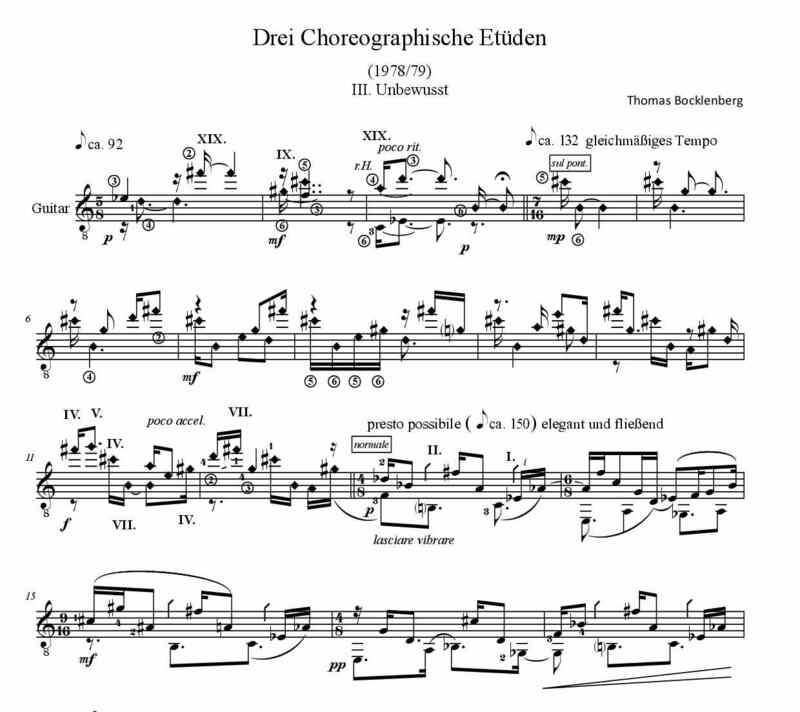 This piece lives on the steady flow of a rhythmic and melodic pattern, which is reminiscent of the South American Milonga. Guitar and piano are merged closely. 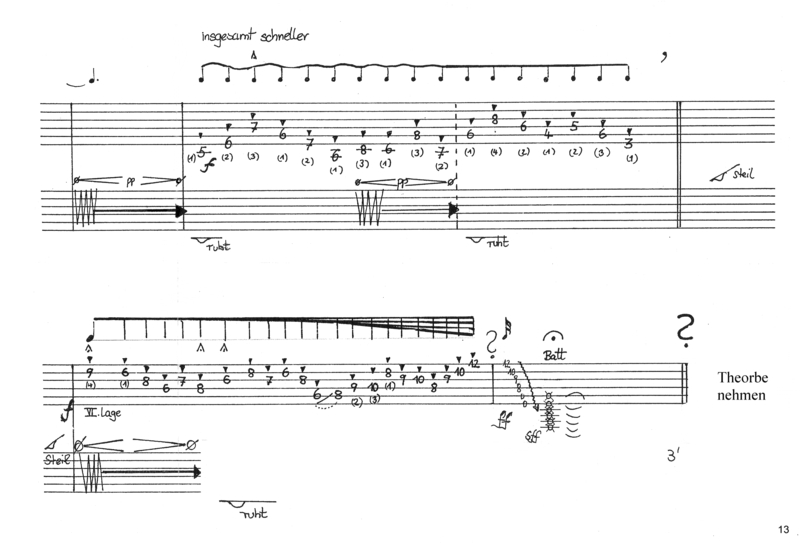 The image shows the beginning of the main section with its typical rhythmic structure in the piano. You can here this passage at the beginning of the audio sample. Performer: Thomas Bocklenberg – Recording 2013. 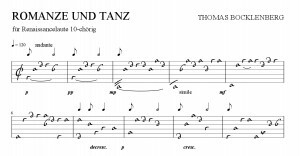 Romanze und Tanz is written for the Neuss-based painter and graphic designer Prof. Hans-Georg Lenzen. The lute was one of several instruments he played. 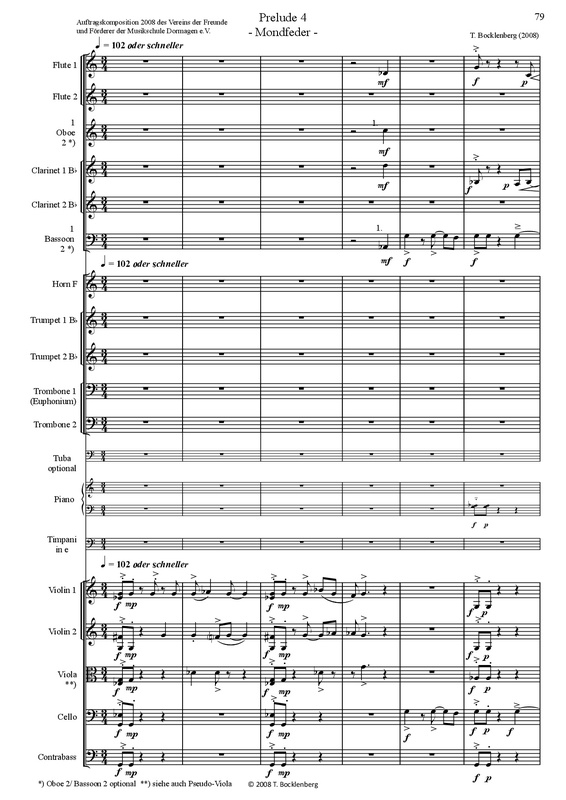 This piece was inspired by the great Argentine musician Eduardo Falu. The Zamba is actually a slower, elegant Argentinian couple dance. The dancers are replaced by the two guitars, “caressing” each other – in different moods. The sound of harmonics in the slow middle section is reproduced here only as a normal guitar tone.